On the evening of September 15th, 1810 Mexican priest Miguel Hidalgo started the Mexican War of Independence with a ring of church bells and a call to arms – the “Grito de Dolores”. More than two centuries later, the cries continue. 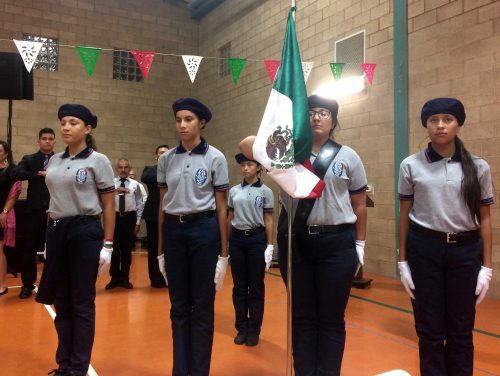 At an event hosted by the Mexican Consulate, musicians, students and community members from Texas and Mexico gathered for Independence Day festivities in the border town of Presidio, Texas. Folkloric dancers pose for photos at Mexican Independence Day celebrations in Presidio, Texas. Photo by Elizabeth Trovall. 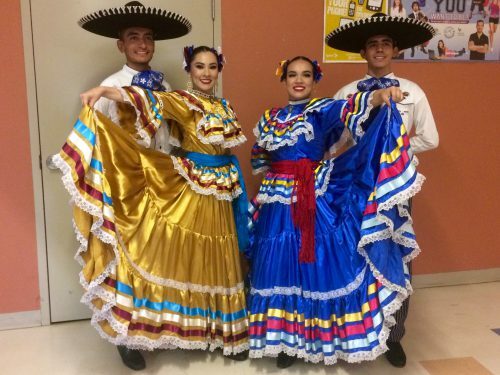 This entry was posted in KRTS News, KXWT News and tagged Border, mexican celebrations, mexican independence, Mexico, Ojinaga, Presidio, trovall, US-Mexico Border. Bookmark the permalink.